No need for breed specific food anymore – One bag to feed them all. KEEP AN EYE OUT FOR OUR NEW PRODUCT WHICH WILL BE LAUNCHING SOON! Specially formulated for all kinds of puppy breeds with its reduced Calcium and added Vitamins & Minerals. 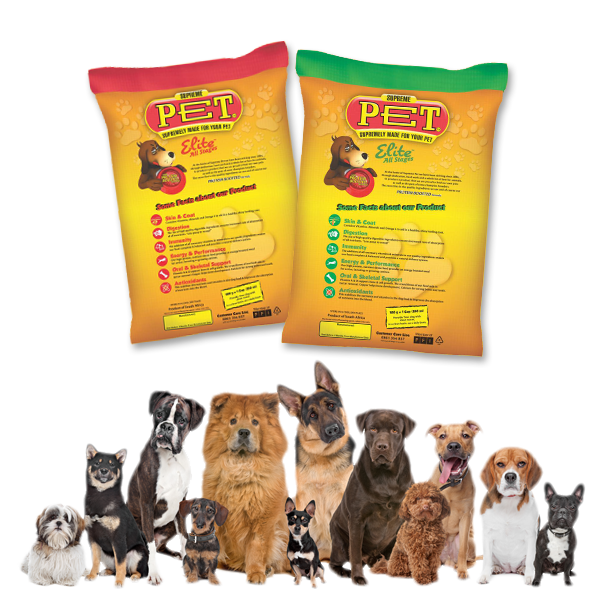 Supreme Pet Elite, Puppy and our Cat food meets and exceeds the Nutritional Guidelines of the Association of American Feed Control Officials and The Pet Food Industry of South Africa (PFI). We believe that every pet that consumes our products is part of a human family and is therefore loved as a family member. 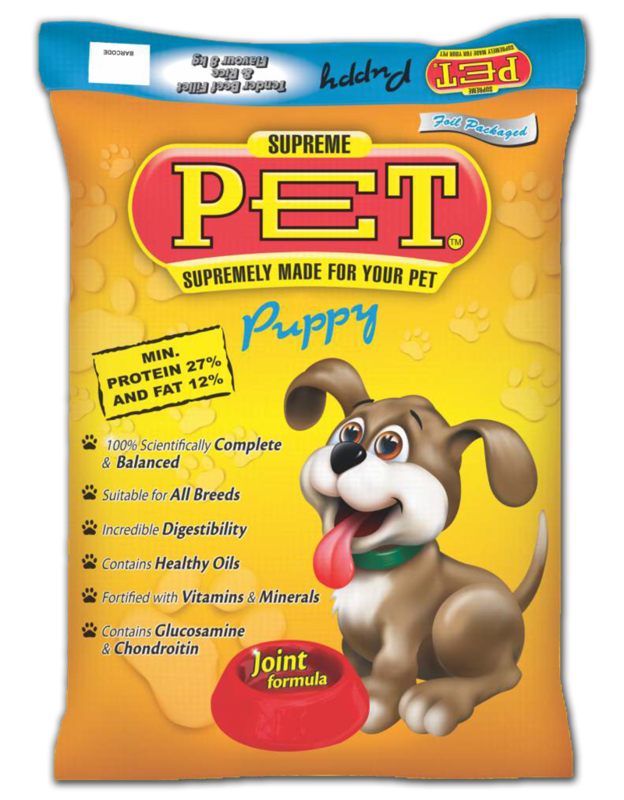 We at Supreme Pet pride ourselves in delivering supremely made products at affordable prices. We use only the highest quality ingredients in a hygienic environment. We commit ourselves in making premium pet nutrition accessible to ALL South African Pet owners. 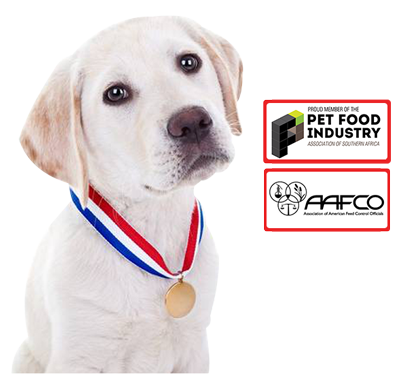 Supreme Pet meets and exceeds the Association of American Feed Control Officials (AAFCO) and Pet Food Industry of South Africa (PFI) standards. We commit ourselves to make Premium Nutritional pet food at affordable prices. You will only find Supreme Pet at select stores in South Africa and Neighboring Countries. We do not take any shortcuts when it comes to manufacturing our product and we use only the highest quality ingredients to ensure we deliver a product of the highest standard. 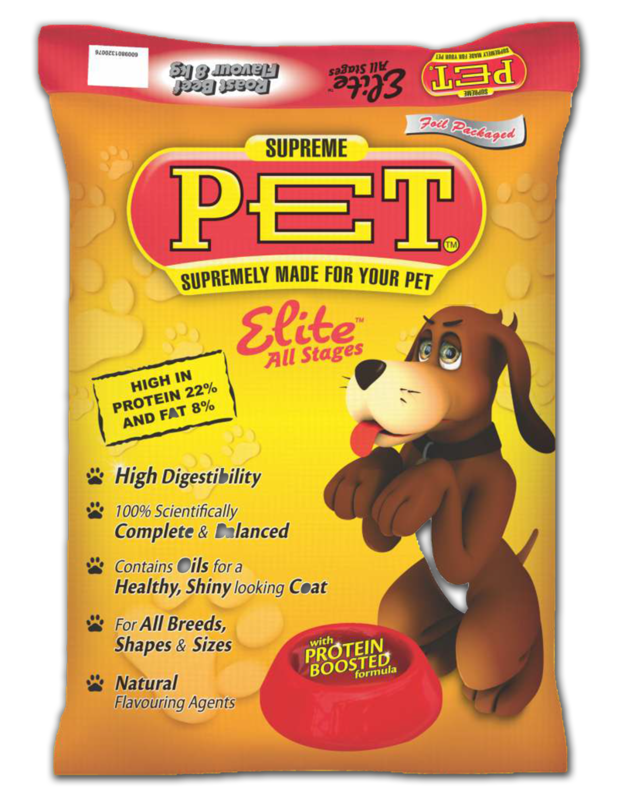 Supreme Pet is not only an affordable product, but also one you can use with peace of mind as it is packed with nutrition and bursting with flavor. It won’t be long before you notice a difference in your dog’s health, personality and overall condition. 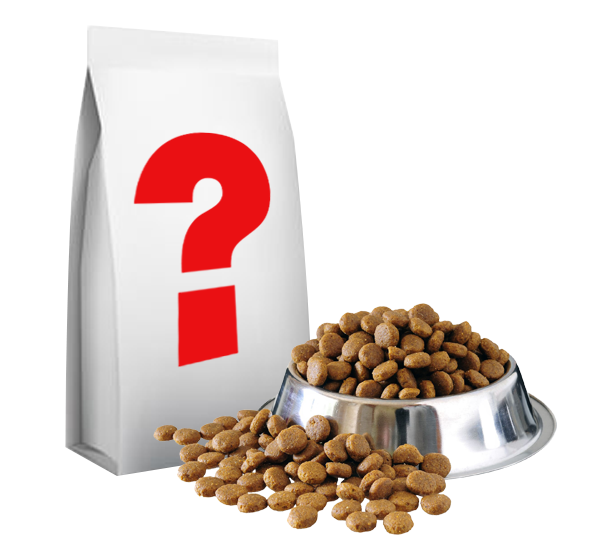 We pride ourselves in having a policy of no harm, no compromise and providing the ultimate healthy pet nutrition. Our love for our pets is endless. We saw this as a huge opportunity and manufactured premium pet food at the price of medium cost food!